Using via ferratas, adults and children with no mountain or climbing experience can access exposed rock faces and cliffs normally only accessible to experienced rock climbers. But what exactly are via ferrats, how old do children have to be to do one and how can you make sure you and your children are safe? Via ferratas are a series of metal ladders, holds and rails fixed into cliffs and rock faces following a set route. There is a cable or 'life line' alongside the route which you clip into for safety (see more on this below). The name via ferrata actually comes from Via Attrezzata which means a fully equipped route with rails, ladders and cables. Over time it has become shortened to just 'via ferrata'. The origins of the modern day via ferrata come from the Italian army who used them in the Dolomites in the first world war to move troops and equipment across the mountains efficiently. 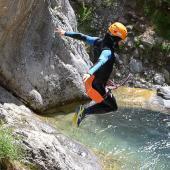 Since then they have been adapted for tourists and have become an activity in their own right with via ferrata holidays in the Dolomites now highly popular. 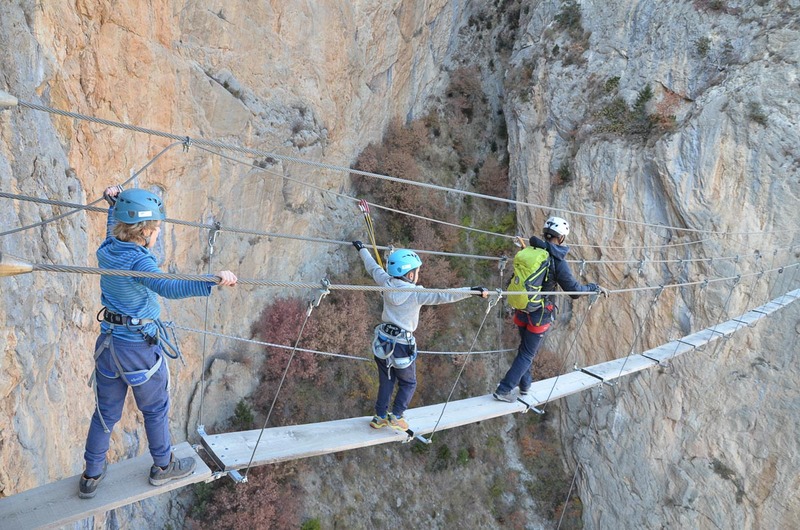 Being just on the border of Italy, France was quick to cotton on and the first via ferrata in France was constructed in the Southern French Alps in Freissinières in 1988 and now there are well over a hundred routes in the Alps. Some via ferratas now also have monkey bridges and big zip lines to add to the fun! 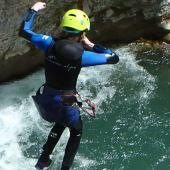 How to do a Via Ferrata Safely? Via ferrata routes are very well maintained and it is extremely rare for a hold or ladder to fail. Natural accidents such as rock fall are also very rare as via ferrata sites are usually situated in areas of low risk and are well surveyed. The highest risk of accident is in fact bad or inappropriate equipment or incorrect use of equiment. If you wear a proper climbing harness with a via ferrata system and use your equipment correctly, there is very little risk of accident. However, it is very easy to make mistakes, and a mistake on a via ferrata can cost you your life. If you have never done a via ferrata before, or are planning on taking your children for the first time, it is adviseable to go with a professional guide who will explain how to manipulate the equipment safely and correctly and give you tips on climbing and doing the via ferrata. Children can react very differently on exposed rock faces and you don't want to be in a predicament where your child has a tantrum, decides he or she knows best and doesn't have to clip in or freezes and refuses to move half way along a via ferrata! A guide will be able to reassure your child and will be equipped for all scenarios. All practicants of via ferrata should be wearing a helmet and a climbing harness with a via ferrata system. The via ferrata system is composed of two lanyards or 'cowstails' with large, self-locking karabiners. The cowstails pass through a shock absorbing device which is activated in the event of a fall. Slings or other systems without a shock absorbing device should never be used as they are not designed to withstand the potential shock of a via ferrata fall and can snap. If the via ferrata has zip lines, you will also need a pulley. It is also adviseable to rope together in small groups of four or five, especially if you are doing a via ferrata with children as the rope acts as a second safety back up in the event of someone making a mistake. The key technique to ensure your safety is to make sure that you are always without exception attached to the main cable (or 'life line') by the karibiner on the end of at least one of your cowstails in your via ferrata set. As you move along the karabiners will slide along the cable with you. When you come to a point where the cable is attached to the rock you will need to move one karabiner at a time on to the new section of cable. Whatever your age, it is important that you have a good head for heights to do a via ferrata as you will be in exposed situations. As a via ferrata is a fixed route, once you have started you need to finish, you can't escape half way round so you need to be sure you can commit! If you are unsure how you or your children react to heights, it is a good idea to do a high ropes adventure course or a rock climbing session before hand. This will also familiarise you and your child with using a harness and for the high ropes course, also the cows tails. 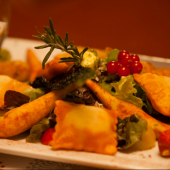 Via ferratas are graded according to difficulty and the majority are aimed at adults. The main inconvenience of this for younger children is that the holds will be positioned for an average adult height so even if it is an easy grade, it might still be very challenging for a small person! For teenagers this is less of a problem so they can enter into the normal grading system, starting off with an easy one and progressing gradually. The easiest is PD (Peu Difficile - 'a little difficult') and the hardest is ED (Extrèmement Difficile - 'extremely difficult'). The difference is to do with the physical difficulty (ie more overhanging is more physically draining) and also how 'scary' it is - as in height, exposure and some have obstacles such as monkey bridges. For younger children, there are now some via ferratas that have been designed specifically with children in mind. These have lower holds and ladders spaced more appropriately for children. 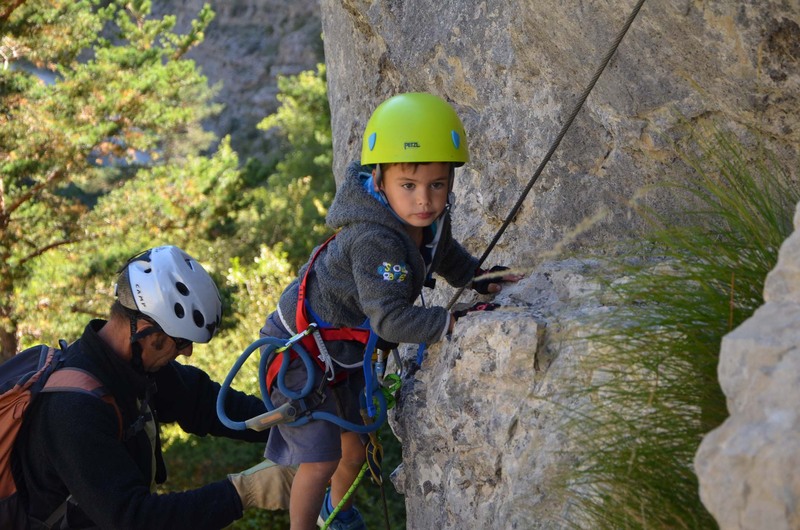 In general, it is advisable that children are a minimum of age 7 before they try out a children's via ferrata but it very much depends on the child. 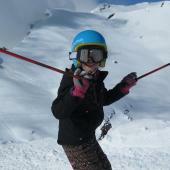 At Undiscovered Mountains, we can advise you on suitable via ferratas for your family and can arrange them as part of a summer alpine activity holiday so please feel free to ask for more info! 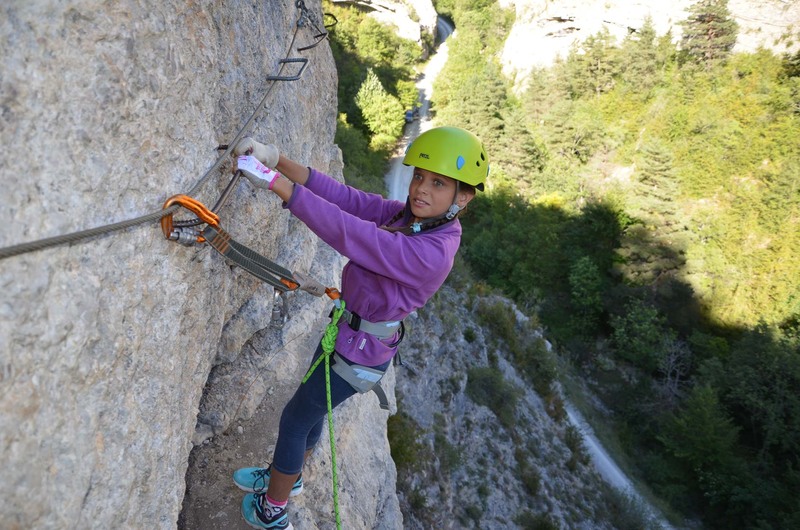 Have a look at this short video of a via ferrata designed for children from aged 7.